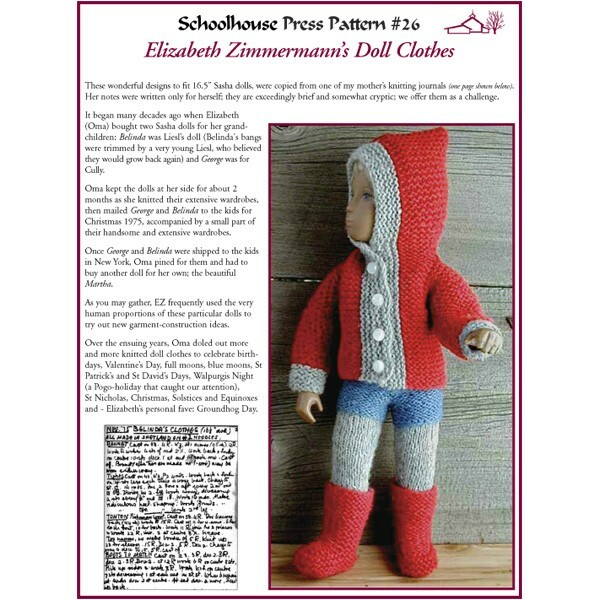 Many decades ago, Elizabeth bought two 16.5" Sasha dolls for her grand-children (a girl, Belinda, for Liesl and a boy, George, for Cully). She fashioned an extensive wardrobe for each. 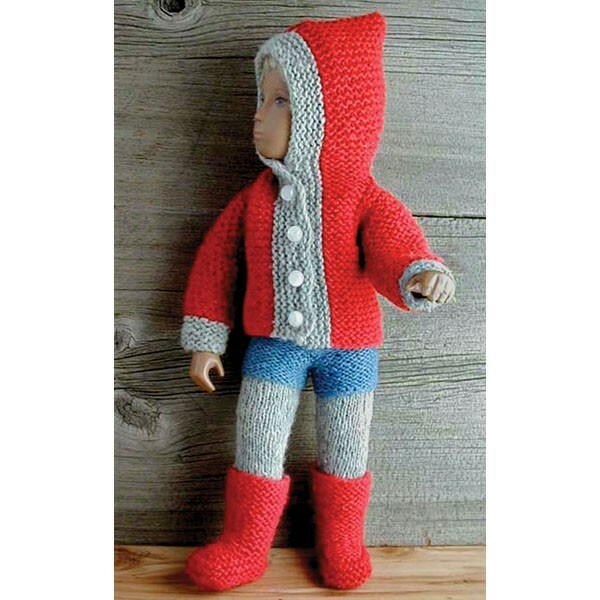 This collection includes miniatures of many of EZ's most brilliant designs, including: The Tomten Jacket, Tights/Leggings, Bootees, Bonnet, Hat, Jumper, Shorts, Bellbottom pants, Tam, Yoke Sweater, Mobius Vest, and Suspender Sweater. Great fun!